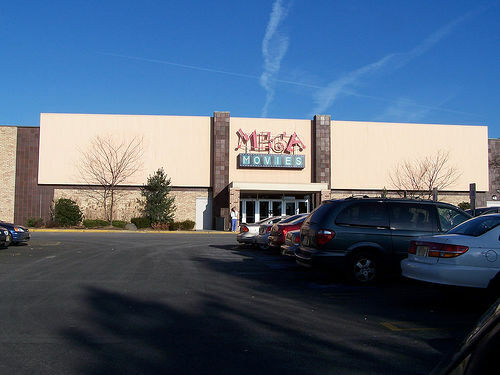 Opened in 2000 in the Brunswick Square Mall. Features thirteen screens with stadium seating. large lobby area with concession, Nathan’s Restaurant, and Ben & Jerry’s ice cream. Taken over by AMC December 16, 2016. I’m looking for contact information for the owner of MegaMovies, George Grant. I want to ask George if he would donate a theatre for the screening of ‘Darfur Diaries’, a 1-hr documentary about lives of displaced people in Darfur, Sudan. Some of the auditoriums in this new space are okay, but there is at least one room that is barely bigger than a utility closet and seemed to be the place I kept getting stuck in any time I went to see a movie there. Therefore I gave up on it and started going elsewhere, much preferring the AMC New Brunswick on Route 1. Haven’t been there in four years, so maybe things have changed. I worked as a projectionist for megamovies i’ve got to give them credit and say they gave it a 100% effort in making sure that each operator provided a perfect presentation. In the larger auditoriums seeing a movie is a great experiance. Starplex Cinemas has taken over operation of the theatre, effective 5/3/12. Starplex has upgraded the auditoriums to digital projection and luxury seats (black leather recliners) – capacity has been greatly reduced, tonight we saw The Internship in an auditorium with 32 seats! The lay out is pretty interesting – 1-4 on one side, on the other: 5-8 ahead and 9-13 to the right, comprising the old “Movies at Brunswick Square” subdivision of the original GCC. The theater still has a few GCC touches including the steel “curtains” in the lobby of the 9-13 side, along with a GCC style concession stand. Not sure if they have a picture window screen (I didn’t want to peep around too much) – but the bathrooms are original GCC in that wing… with much smaller doors and stalls. The letter (black on a white door) for the men’s room is still vintage GCC as well. Interesting complex! The Ben & Jerry’s is gone, however the Nathins in the lobby is still there along with tables and arcade games. The D-BOX seats were removed with the addition of the leather recliners. Also to Starplex’s credit they lowered prices ($8.50 for full price adult evening admission). I’m happy they kept a few GCC things in tact for us cinema geeks! 6 screens opened on February 25th and 13 screens on March 17th, 2000.